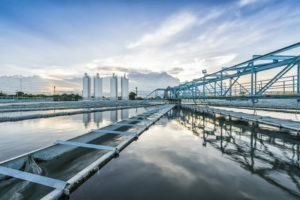 Over the last decade municipalities have installed video surveillance and access control systems to secure their water plants, water distribution systems, wastewater treatment plants, and wastewater collection systems. Today’s traditional surveillance and access control systems require synergy; however, the traditional security industry has continued to provide standalone proprietary systems. MR Systems provides security solutions that are non-proprietary, efficient, and cost effective and are integrated with your SCADA system. MR Systems can provide your facility with surveillance and access control systems that precisely match your needs. With support for a wide range of industry-leading cameras, encoders, CCTV equipment, and access control hardware, our systems may be easily expanded or modified to adapt to future requirements. Until recently, system integration was unknown in the video surveillance and access control system field. System integration is the process of combining different hardware and software products from multiple vendors into a single cohesive system. With over 20 years of system integration experience, MR Systems can integrate video surveillance and access control systems into your SCADA system. With fewer systems to maintain your operators and maintenance personnel can focus on monitoring and controlling your treatment facilities – not on troubleshooting separate systems supplied by a variety of vendors. As the adoption of higher resolution megapixel cameras increases, so does the need for intelligent video management software to optimize bandwidth consumption. Our integrated solutions provide industry-leading functionality that enables you to reduce the bandwidth costs required to grow your system of high definition cameras. MR Systems’ integrated solutions are logical long-term investments because they provide the flexibility that only open architecture systems can ensure. Why get locked into proprietary solutions? Monitor live video feeds, respond to access control alerts, and share live video with colleagues at your plant from your smartphone while working on routine tasks or responding to a critical situation. Whether you are installing a new security system or replacing an existing one, MR Systems streamlines the entire process. Our systems are designed to scale up as your operations grow, while always providing you the freedom to choose from leading open access control hardware. Feel secure as security threats surface, knowing that your personnel can quickly restrict access to your buildings or process areas. With comprehensive control, you can restrict entry to a specific area or an entire facility in seconds. Create visitors in advance, designate the employees they are visiting, check them in and out, track their movements, and run activity reports so that you know who is in your plant or at your remote sites at all times and why. Download the Video Surveillance and Access Control Systems Brochure HERE.